Helping lost dogs find their way home. 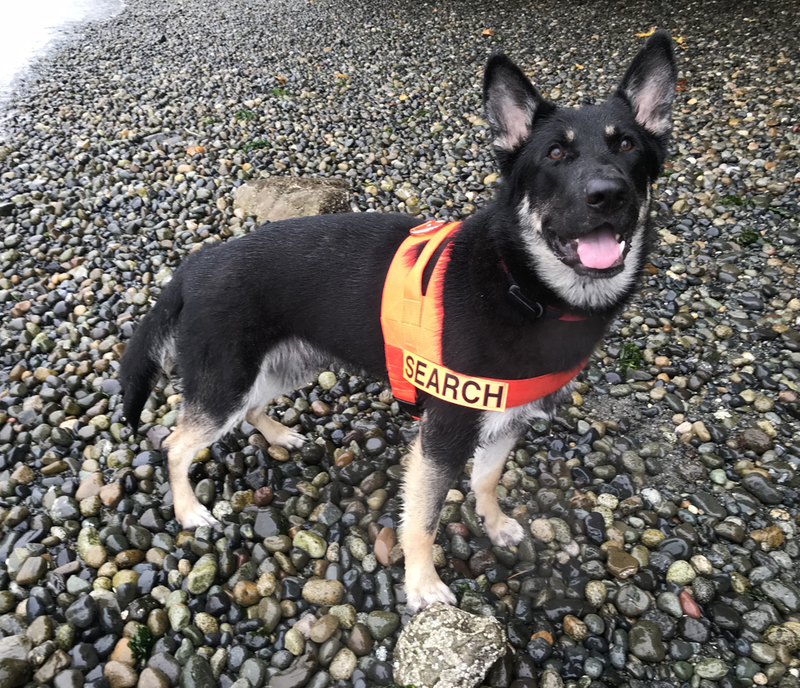 Tino was rescued by Useless Bay Sanctuary, and now he rescues lost dogs. If you are thinking about end-of-the-year donations, please keep UBS in mind. Yesterday, this old girl was wandering aimlessly in the street, three blocks from home. A UBS volunteer called the number on the tag and got her home. Every day of the year, UBS volunteers are watching out for dogs, and helping when we can. Your donations make it possible. Tuck is an example of the type of dog we are prepared to help. 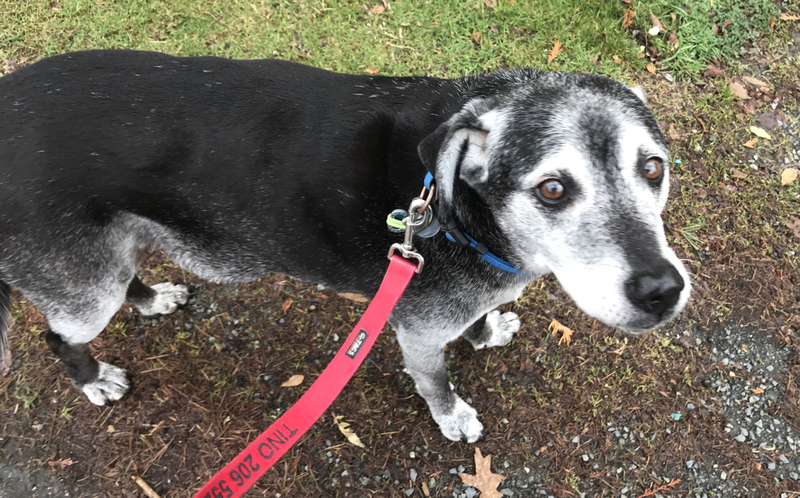 Tuck ran loose in Tukwila, WA, for several weeks. I heard about him when my brother saw him at the hardware store and texted a picture to me. UBS learned he had been evading capture despite extensive efforts of animal control and concerned individuals. Each failed attempt taught Tuck to avoid those subtle human tricks while he ate hotdogs and cheeseburgers offered by strangers. A UBS team member used Calming Signals, a set of techniques useful in capturing skittish dogs. After 11 hours of patient coaxing, UBS and King County Animal Control collaborated to get Tuck to safety. UBS searched for Tuck's previous owner for over 45 days, and now he has been adopted to a new home where he is loved and kept safe. Our volunteers have the experience and expertise needed to help skittish dogs that are hard to catch. We need donations and volunteers to help more dogs like Tuck.